I didn't make too many gifts this year, not for a lack of wanting to, but just lack of time and energy. 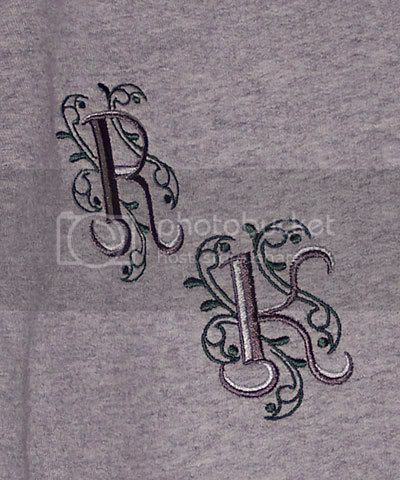 But my mom bought this zip up hooded sweatshirt at Target for her friend Reno a couple weeks ago, and I had an idea to embroider his initials on it. Reno's "initial" reaction was to laugh! What a strange response...lol but thats RENO! 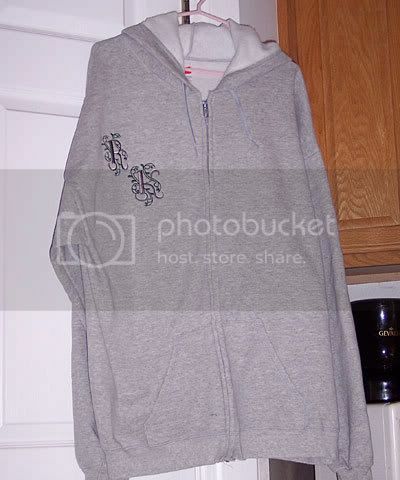 He did like it, and I think it made the plain sweatshirt much nicer.